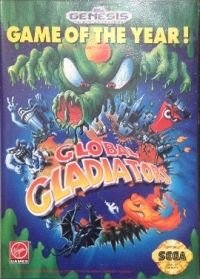 Global Gladiators - Game of the Year! Multiple copies known to exist, not sold at retail. 03-18-2019 tripredacus Description Plastic case Multiple copies known to exist, not sold at retail. This is a list of VGCollect users who have Global Gladiators - Game of the Year! in their Collection. This is a list of VGCollect users who have Global Gladiators - Game of the Year! in their Sell List. This is a list of VGCollect users who have Global Gladiators - Game of the Year! in their Wish List.